This one is for all you Photoshop fanatics out there. You know who you are. I’m blushing guiltily here as well. I love Photoshop. It is amazing what you can do with this powerful program. Today I am hooking you up to a spectacular site, called Action Central, where you can get all kinds of actions for your program so you can manipulate your photos in all kinds of cool ways. There are waaaaaaaaaaaaaaaay too many to list here so the best thing to do is head over and check out what is on offer at Action Central. Have fun and have a fantastic Monday. Look at this great find from Shabby Princess as designed by Amy Teets. This gorgeous digital scrapbooking kit is available for Free right here. 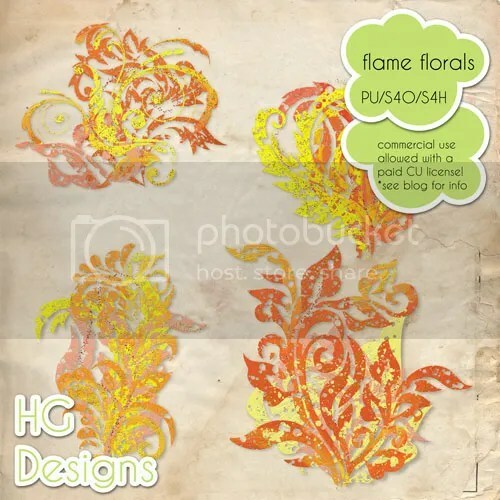 Check out these sweet flame foral brushes by HG Designs. Aren’t they great? Grab them for yourself right here. Consider yourself “lucky” and head over to Peppermint Creative to download. Enjoy! I love fonts. Don’t you? This one kind of makes me laugh because of it’s name but I love the cursive script and the fact that it’s free. Download it here (you’ll have to scroll way down the page, just so you know). Wow, with yesterday being a holiday here in Canada, my days are so mixed up! Does that ever happen to you? I keep thinking I have Monday stuff to do so, even though it’s Tuesday, we’re going ahead with a Monday event: Digital Download day. This week I found some really cool Photoshop actions via Visual Blast. They have over 120 photoshop actions on their site for you to download and use on your photographs. I love the vintage photo one. Check them out here . I found this cute little cd case over at the Canon site today. What a great way to dress up a CD! 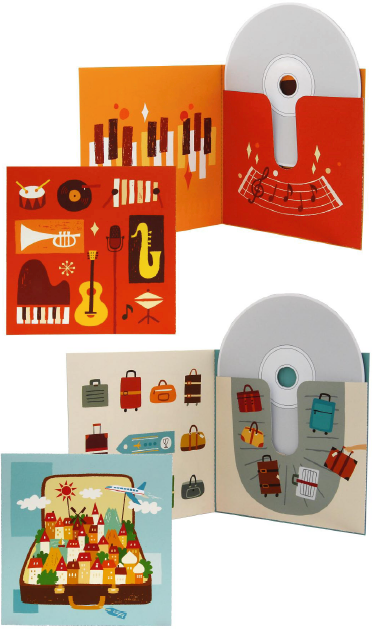 Make your sweetie a disc of his/her favorite tunes or perhaps burn a few photos of a favorite trip. Whatever your choose, these cases are sure to be a hit. Print them here and here.